Welcome to this issue of the Carnival of the Indies blog carnival. This issue is for January, 2018. We welcome your submissions on topics related to writing, self-publishing, book design or marketing books. Eric Zarth presents CreateSpace or KDP Print? Which One Should YOU Use? posted at Zbooks. 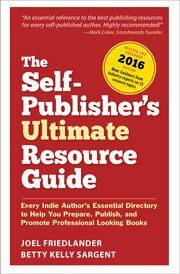 Darcy Pattison presents Catalogs: A Marketing Tool for Indie Publishers posted at Fiction Notes. Tracy Cooper-Posey presents How Going Wide Helped Me Quit My Day Job posted at Kobo Writing Life. Linda Maye Adams presents Respecting the Writing, Respecting Yourself posted at The Writings of Linda Maye Adams. Alexander Zoltai presents Pay Money or Self-Edit ? posted at Notes from An Alien. Kristina Adams presents How to Get Started with Scrivener posted at The Writer’s Cookbook. The next issue is February 25, 2018 and the deadline for submissions will be February 15, 2018. Don’t miss it!